i started minox foam in march 2008 , and i think the results have been pretty good . the lighting is slightly different i know , but its the same room in natural daylight with no flash and the same camera . although ive had good success at the back and around the crown , its had no effect in the front . Obviously you are getting gains. What is your regimine now? 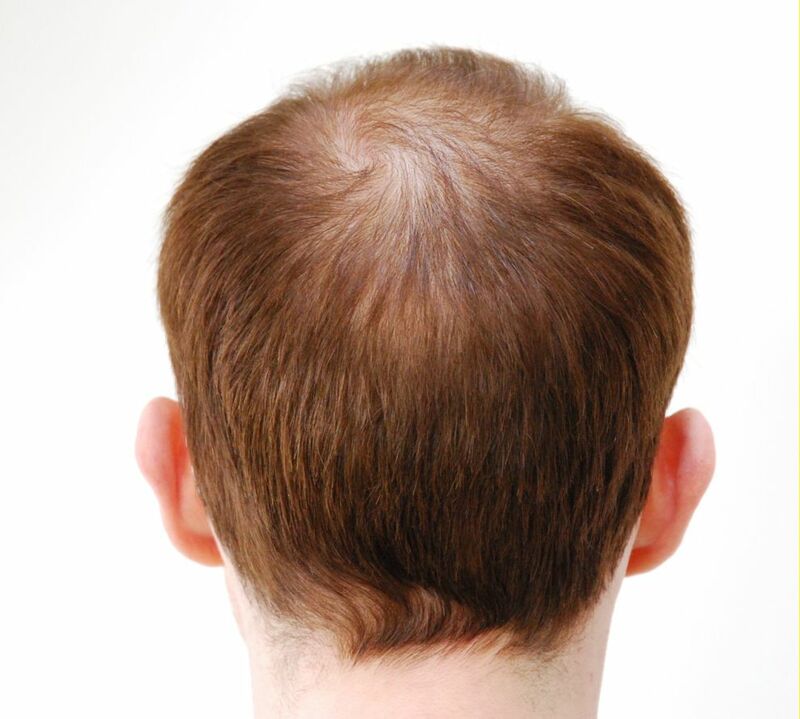 What had you done before you started Minoxidil and did anything else have that much of an effect before, or is minox the most successful therapy you have tried thusfar? » Obviously you are getting gains. » What is your regimine now? the minox is without question the most effective treatment i have tried so far . also been taking saw palmetto for 2 years , and DIM /flaxseed lignans / MSM for a year to try to regulate my dht & estradiol. ive had saliva and blood tests throughout too , and both of these levels are half what they were before beginning the supplements. i’m certain that the hair that i do have is thicker ( and it grows twice as quick ) because of the MSM . 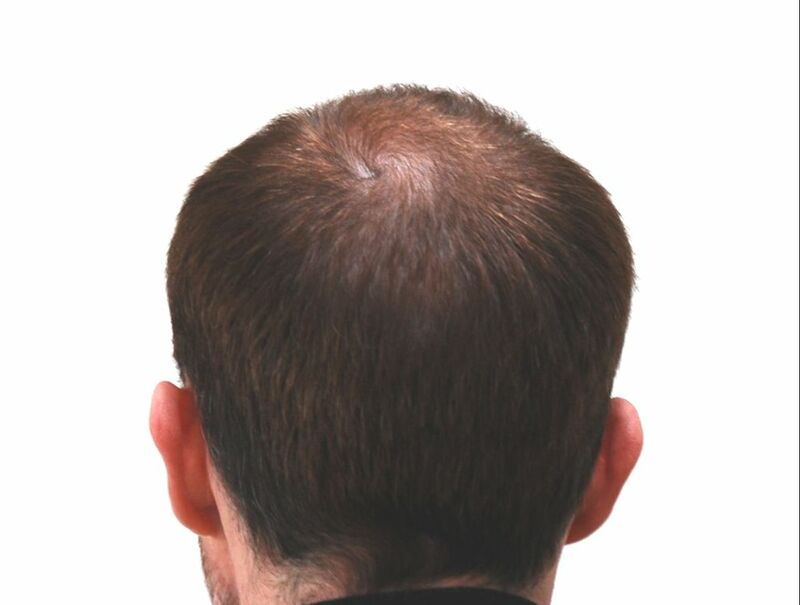 its difficult to tell if theyre stopping any further loss because my balding pattern is extremely slow - ive been losing it for 16 years - slowly but surely ! i’d appreciate any other comments on the photos above , btw - even if y’all think there’s no difference it would be helpful to get as much feedback as possible . i’ve been taken minox foam for 40 days. still no results of course. this is by far the most honest and positive visual evidence i’ve seen from minox. If you are taking saw palmetto and soy to counteract alpha five reductase, you might as well take finasteride. It would work better. If you drank some grapefruit juice with it (inhibits the enzyme that metabolizes finasteride), it will work even better because its half-life in the body will be extended. If you use nizoral shampoo a couple of days a week (leave in for two-to-three minutes), your results will be better still. We have a biological model (male pseudohermaphrodites born without type-two alpha five reductase) for finasteride’s effect. Its not a dangerous drug for a man with normal testosterone levels (a man who gets some decent excercise). Your results can be better still in two more years with finas and nizoral. Nizoral helps inhibit several inflammatory pathways. They really are a great “punch” when used all three together. » two-to-three minutes), your results will be better still. » Your results can be better still in two more years with finas and nizoral. » great “punch” when used all three together. and i’m not keen on the idea of fin due to the huge amount of posts that ive read complaining of side effects . Do you believe Nizoral 1% can be as effective as the 2 percent? » Do you believe Nizoral 1% can be as effective as the 2 percent? I thought that had been tested once. I’ll say this…many topicals that you see tested dermatolologically are tested at .5 or .1% concentration. So when you see 1%, I wouldn’t necessarily think “thats not enough”. I seem to remember the 1% doing almost as well as the 2% but cant’ remember for sure. I’ll say this though…the 2% bottle supposedly says to “leave in for several minutes”. The T-Sal and T-Gel bottles say the same thing. The nizoral 1% bottle doesn’t say that, but if a guy left it in for 2-3 entire minutes, the chances are that a lot more ketoconazole could get down to the follicle depth and have a stronger anti-androgenic effect. Keto has been shown to be a hair stimulant on rat hair (if I remember correctly). I once washed one wrist with nizoral (leaving it in for a couple of minutes) about every other day for three months. I was expecting there to be LESS body hair there, but the opposite happened. The hair got longer and darker than the hair on the other wrist. It STIMULATED growth there to my suprise. We know nizoral has been shown to reduce sebum secretion by about 20%, so its somewhat anti-androgenic. I think if you use it two-to-three times a week and leave it on for about 3 good minutes, you’ll have a much better chance of having some good benefit from it. It affects some prostaglandins, and inhibits some inflammatory pathways (something called “LOX” I think it was). Tissue effects of saw palmetto and finasteride: use of biopsy cores for in situ quantification of prostatic androgens.Marks LS, Hess DL, Dorey FJ, Luz Macairan M, Cruz Santos PB, Tyler VE. Urological Sciences Research Foundation, Culver City, California, USA. OBJECTIVES: To determine the effects of a saw palmetto herbal blend (SPHB) compared with finasteride on prostatic tissue androgen levels and to evaluate needle biopsies as a source of tissue for such determinations. METHODS: Prostate levels of testosterone and dihydrotestosterone (DHT) were measured on 5 to 10-mg biopsy specimens (18-gauge needle cores) in three groups of men with symptomatic benign prostatic hyperplasia: 15 men receiving chronic finasteride therapy versus 7 untreated controls; 4 men undergoing prostate adenomectomy to determine sampling variability (10 specimens each); and 40 men participating in a 6-month randomized trial of SPHB versus placebo, before and after treatment. RESULTS: Prostatic tissue DHT levels were found to be several times higher than the levels of testosterone (5.01 versus 1.51 ng/g), that ratio becoming reversed (1.05 versus 3.63 ng/g) with chronic finasteride therapy. The finasteride effect was statistically significant for both androgens (P <0.01), and little overlap of individual values between finasteride-treated and control patients was seen. In the randomized trial, tissue DHT levels were reduced by 32% from 6.49 to 4.40 ng/g in the SPHB group (P <0.005), with no significant change in the placebo group. CONCLUSIONS: For control versus finasteride-treated men, the tissue androgen values obtained with needle biopsy specimens were similar-both for absolute values and the percentage of change-to those previously reported using surgically excised volumes of prostatic tissue. The quantification of prostatic androgens by assay of needle biopsies is thus feasible and offers the possibility of serial studies in individual patients. The SPHB-induced suppression of prostatic DHT levels, modest but significant in a randomized trial, lends an element of support to the hypothesis that inhibition of the enzyme 5-alpha reductase is a mechanism of action of this substance. Lets see here Hangin, Finasteride reduced tissue levels of DHT from 5.01 ng/g to 1.05 ng/g, or to about one/fifth what they were before therapy. Saw Palmetto reduced tissue levels of DHT from 6.49 to 4.40 ng/g, or by about one third. So Finas cut roughly 80% of tissue DHT from the prostate, and Saw Palmetto cut 32%. Saw Palmetto may inhibit some binding of DHT to the androgen receptors, help with insulin, and have some inflammatory activity. Who knows, perhaps Saw Palmetto helps with some androgen-inducible genes by suppressing them also. However, If some random guy were to ask me what was the best bet to hang on to his hair, I’d have to tell him to do finasteride over Saw Palmetto at this point. It has more science behind it. I know what studies you are referring to concerning Saw Palmetto inhibiting both type 1 and type 2 alpha five reductase, and they are impressive…but they are using SUPRAPHYSIOLOGICAL levels of Saw Palemetto. More than one could ever get into cells. Cell-free assays dont always correlate to what happens in the body. I’d LOVE for you to be correct in your conviction of Saw Palmetto being equally as good as finasteride for hair however. I wish some entity would do a good double blind test with about 20 men, with hair counts and hair weights and photographs, and see what about 400 mgs of Saw Palmetto could do. Im very confident that topically Saw Palmetto can be beneficial because of the old Italian Dermatological Study that showed that there was a 67% reduction in casual sebum when Saw Palemetto extract was used in a topical solution, shampoo, and internal pill were taken by men. Many had improved hair…but thats adding two topicals to the mix. Its here at hairsite. Post Scriptum…Ive wondered if beta sitosterol inbibits alpha five reductase or inhibits androgen receptors also. I just wish these two things in particular could get a valid human dermatological test by a disinterested third party. Believe me Hangin, Im not against naturals at all. I simply want to see them tested. I’d LOVE to be able to take a couple of herbals and ditch dutasteride, but am not going to risk that until I have absolute proof. Best of luck and Im glad you are having success with your regimine. Are you now using Dut instead of Fin? If so, how’s it working for you? » Are you now using Dut instead of Fin? If so, how’s it working for you? Im taking 5 to 6 capsules one day a week. .5mgs. Its half life is 4 weeks, so dutasteride stays in the system a long time before degrading. Its keeping the hair I have. Ive been on finas for years. Its for the long-half life (being able to dose once a week) is why dutasteride is so appealing. Pop a few pills on Monday and forget about it until next Monday, etc. Ive got some old finas around though, and may start taking one half a proscar in the morning and one half of one at night just to get rid of them and not waste the money I spent on those… I probably have 2-3 months of it left if I use the finas in that way. I’ll probably be drinking a bunch of grapefruit juice during this time. » » Are you now using Dut instead of Fin? If so, how’s it working for you? » so dutasteride stays in the system a long time before degrading. » grapefruit juice during this time. Im not taking them at the same time, that would be a waste. I thought I might suspend the dutas and just use the finas twice a day until I run out of the finas I have. In fact, I’ll probably do that starting Monday. I hate to waste the money I spent on the finas. please do not hijack my thread -like you do with every other thread on here -with your arguments about what works the best . i started this thread to get genuine feedback about my results - if y’all want to prove how much you know better than the next guy THEN START ANOTHER THREAD . and please be kind enough to delete your posts above that are OT .